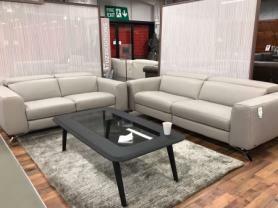 If your looking for a soft high quality leather sofa with pocket sprung seats for that extra comfort then look no further. Japer is excellent quality sofa which appeals all walks of life. Slim and modern design will enhance the look of any room. Built with quality and durability in mind. Approximate Measurements: L: 227 cm. Chaise: 163 cm. Depth: 103 cm.